Whether you are a woman or a man, if you are losing your hair it can be really stressful and frustrating. Your hair may simply just be thinking out more or you may even start noticing bald patches on your head. There are some things that you can do if you find you are losing your hair. One of the things that you can start incorporating into your life is one of these best shampoos for stopping hair loss. 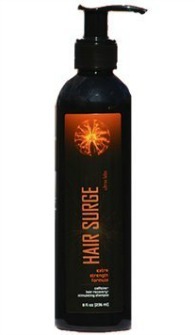 These shampoos are made specifically to not only stop hair loss but to help with the regrowth of the hair. Not all hair loss shampoos are the same though. Some of them have harsh chemicals and additives in them that may have bad side effects on your scalp or hair. While other shampoos simply don’t work that well. If you don’t want to waste your time and money with those other shampoos then check out the best shampoo for stopping hair loss below. This shampoo is one of the best selling shampoos because it not works great for stopping hair loss but is also a 100% natural preservative shampoo which you don’t find when it comes to anti-hair loss products. The shampoo is completely derived from 100% natural plant based extracts, which means you don’t have any sulfates or parabens in the product. This also means you don’t have any other harsh chemicals that can do damage to your scalp or hair. 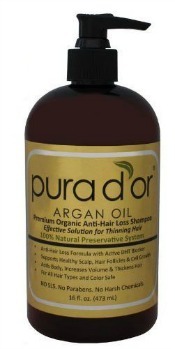 It has DHT blockers which are proven to help in preventing hair loss as well as promote the growth of more hair cells. It will help with thinning hair and bald spots in both men and women. The way that DHT blockers work is that they block the DHT (natural hormone in the human body) from being able to get to the scalp. Along with these blockers this shampoo also has argan oil, which works to promote a healthy scalp and hair. It nourishes the hair follicles and can help stimulate new growth. The shampoo is safe for all hair types and even safe for colored hair. It won’t strip out your natural oils nor will it strip the color from your hair. The nice added bonus with this shampoo is that it won’t only stop the hair loss from happening but it makes the hair you do have super healthy because you aren’t adding in all those preservatives and chemicals. Your hair won’t be weighed down or super dry with this shampoo unlike what happens with some other anti-hair loss shampoos. If you want to try something different, then check out this highly rated anti hair loss shampoo from Ultrax Labs. The cool thing about this shampoo is that it is actually made with powerful caffeine compounds, which studies have shown help to stop hair loss as well as help to stimulate new hair growth. The shampoo is made for both men and women and has been shown successful in both genders. It also contains ketoconazole, which has long been a popular ingredient to help with dandruff control. Only recently has studies shown that this ingredient actually helps with thinning hair as well. It has anti-inflammatory and anti-fungal properties that help keep your scalp healthy and clean as well. The other ingredient that really helps this shampoo be one of the best for stopping hair loss is the saw palmetto. This ingredient works to block enzymes that make the DHT which is the cause of baldness and thinning hair is most people. With the saw palmetto you are getting a powerful resource to stop your hair loss. The formula in the shampoo has proven ingredients that work to not only stop your hair loss but also help to promote hair follicle growth. This means not only will you see less shedding but you will most likely start seeing tiny little hairs start sprouting in your thinning areas. The shampoo is safe for everyday use for both men and women. The above are the best shampoos for stopping hair loss that you can choose from. Of course, there is no guarantee that either one will completely work on your hair, but it’s definitely worth it to give it a shot to try these shampoos. They each have hundreds of positive reviews and success stories for stopping hair loss and even regrowing new healthy hair.